A hidden gem in the world of collegiate sports, the quality of baseball at the NCAA Division III level in the Philadelphia region is certainly noteworthy. Beginning this season, the Philadelphia Baseball Review is expanding our coverage of the local college scene to include these very D-III programs. Our 2019 D-III coverage begins with the announcement of our All-Philadelphia Region D-III Preseason Team. Additional coverage will come later this week with preview capsules featuring nearly a dozen local programs from the area. Catcher: Tyler Kmiec (JR) | Immaculata - Named First Team All-CSAC last season, the Hamilton, N.J. native played in a team-high 31 games while hitting .346 (37-for-107) and led the Macs in hits (37), home runs (5), RBI (24) and stolen bases (14). First Base: Ryan Keen (SR) | Gwynedd Mercy - Hit .341 for the Griffiths last season while playing in 34 games. His 71 total bases was second highest on the team. Committed just two errors in 184 chances. Led the club with 15 doubles. 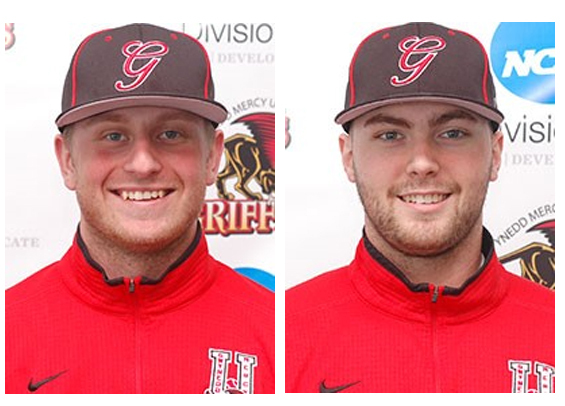 Second Base: Dave Tatoian (SR) | Gwynedd Mercy - Led the Griffiths in home runs (7), RBIs (28), and total bases (80). Also named to the First Team All-CSAC last season. Also tossed 12 innings on the mound in relief, securing three saves while pitching to a 2.92 ERA. Shortstop: Stevie Stevenson (JR) | Penn State Abington - A First-Team ALL-NEAC selection a year ago, he stole 26 bases and was thrown out just three times. He also was second on the club in batting average (.327), total bases (75), and RBIs (37). Third Base: John Schoelkopf (SR) | Neumann - Hit .436 over 30 games while leading the program in total bases (82) and on-base percentage (.489). Outfield: Bryan Gillen (SR) | Arcadia - Named MAC Commonwealth Player of the Year last season, he posted program single season records for most runs scored (65), most hits (80), and most total bases (114). He was the program's first ever D3baseball.com All-America recipient making Third Team. Outfield: Charles Levitt (SR) | Swarthmore - Hit .344 with 12 stolen bases in 48 games. Reached base 19 times via being hit by a pitch. Committed just one fielding error in 70 chances. Outfield: Mack McKisson (SO) | Cabrini - Named CSAC Rookie of the Year last season, led the Cavaliers with a .417 batting average, .600 slugging percentage and a .493 on base percentage. Swing: Ryan McCarty (SO) | Penn State Abington - Named the 2018 NEAC Rookie of the year, he received several regional and national Rookie of the Year awards after hitting .433 to go along with 49 runs, 65 hits, three triples, four home runs, 47 RBIs with a slugging percentage of .660. On the mound he led the club with 31 strikeouts and finished with a 3.92 ERA. Designated Hitter: Jackson Roberts (SR) | Swarthmore - Hit .399 for the Garnet with a team leading 10 home runs and 116 total bases. OPS of 1.125 was among highest in Mid-Atlantic region. Middle Infielder: Cole Beeker (JR) | Swarthmore - Another formidable bat in the Garnet offense, hit .361 last season to go along with team highs in walks (27) and RBIs (65). Pitcher: Ricky Conti (SR) | Swarthmore - Named a Third-Team All-American last season, he returns as an ace looking to build off a 12 win season. Over 93 1/3 innings last season he posted a 2.60 ERA to go along with a 1.04 WHIP. Also tossed a pair of complete games. Pitcher: Billy Manzo (SR) | Immaculata - Tossed three complete games for the Macs while posting a 3.25 ERA over 55 1/3 innings. Collected 56 strikeouts while limiting hitters to a .247 batting average against.